9th Annual Green Cup will be held on Martin Luther King Day, Monday January 15, 2018, at Hobomock Arena in Pembroke. 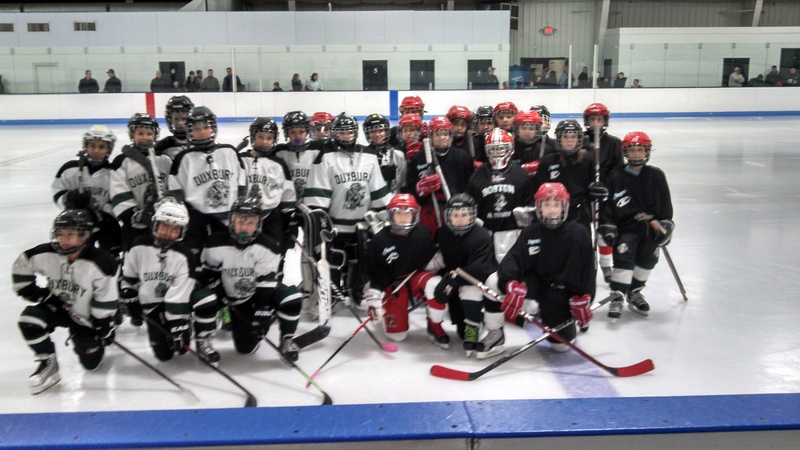 Marshfield and Duxbury come together to play a series of hockey games from the youth level through the High School level. The games foster the natural rivalry between the towns, but also brings the communities together to raise money for a charity of the host town’s choice. This year the Charity of Choice is the Brain Aneurysm Foundation. The Brain Aneurysm Foundation was established in Boston on August 19, 1994, as a public charity. The Hanover based Brain Aneurysm Foundation is the nation’s premier nonprofit organization solely dedicated to providing critical awareness, education, support and research funding to reduce the incidence of brain aneurysm ruptures. The Brain Aneurysm Foundation has become the world’s leading source of private funding of brain aneurysm research. 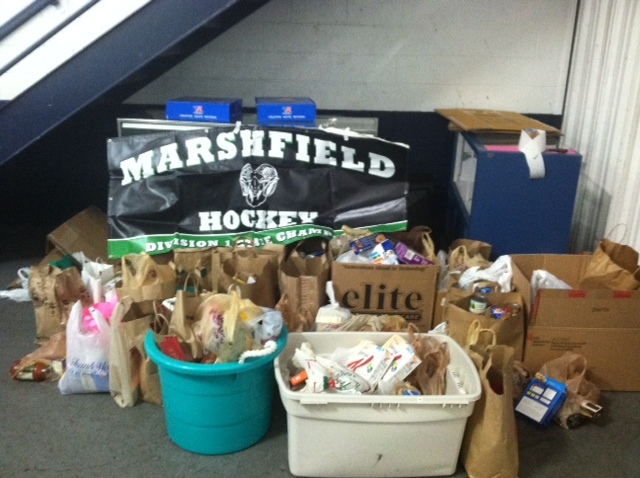 There will also be bins placed at the entrance of the rinks to support the Marshfield Food Pantry. We are asking each participant to bring a non-perishable food items or household item including soups, cereal, peanut butter, oatmeal, canned meats and vegetables and nontoxic household cleaners. Our 5th Annual Coaches vs Cancer event will once again bring together Marshfield and Duxbury on Martin Luther King Day to play a series of games that not only fosters the natural rivalry between the two neighboring towns but also involves all the players in raising funds and awareness for a charity of their choice. This season's charity is Coaches vs. Cancer. Teams will consist of players from mites up to the respective varsity high school level. The festivities will begin with the first drop of the puck at 9:20 am and finishing with the last game of the day at 3:50pm. Scores of students and parent volunteers will man the lobby of the Hobomock Ice Arena all day Monday while Mite, Squirt, Peewee, Middle and High School teams battle away to earn points toward winning the Green Cup. Witness the energy as proud players with sticks and shin pads wrapped in colorful tape representing many types of cancer. Players will be demonstrating their skills to the spectators in beanies supporting The American Cancer Society . There will be raffles and donation cards lining the rinks, all bringing money and awareness to the fight against cancer. We are collecting all types of HATS in support of those battling cancer! Please join us on the 20th in Support of the fight to kick cancer! Charity: American Cancer Society "Coaches vs. Cancer"